The Christian physician and former missionary will sign autographs at the largest book festival in the country. Dr. Byron Conner will sign copies of his book at the Festival of Books. Dr. Byron Conner, the author of “The Face of Hunger: Reflections on a Famine in Ethiopia,” will be attending the Los Angeles Times Festival of Books. The free public festival, first held in 1996, will kick off on April 13-24, 2019 at the campus of University of Southern California in Los Angeles, CA. The Los Angeles Times Festival of Books is an essential part of the LA educational and cultural scene, promoting literacy and the love of reading. But more than just a book fair, the Festival of Book is also a fun event where not just books will be on display but also new and original works of art and photography. It is truly a festival that highlights literature and arts. Being the largest book festival in the United States, the Festival of Books is expected to bring in a diverse range of authors as well as speakers, exhibitors, and performers. There will be poetry readings, culinary classes, panels with authors, storytelling sessions, musical performances, etc. Dr. Conner, whose memoir “The Face of Hunger” will be exhibited by ReadersMagnet at the event, is one of the authors who will have a book signing session, which is scheduled on April 14, 2019, between 11:00am – 12:00pm. His book is a gripping personal account of the 1983-1985 famine in Ethiopia. The author shares compelling and enduring memories of working among the famine victims in Ethiopia. Be inspired by Dr. Byron Conner’s story of service and vocation. 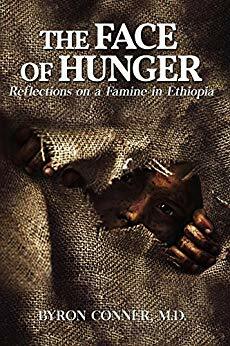 Pick a copy of “The Face of Hunger: Reflections on a Famine in Ethiopia” today through Amazon (https://www.amazon.com/Face-Hunger-Reflections-Famine-Ethiopia-ebook/dp/B07FPVTB2J/) and have it signed by the author at his scheduled book signing session. Written by Byron Conner M.D. Dr. Byron Conner is a published author, an Army veteran, medical doctor, a father, and a missionary.